Thinking about buying a new Xbox One? Maybe hold off for a minute. 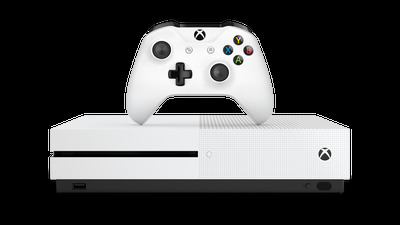 MicrosoftThe Xbox One S, with its slimmer form and new controller. It’s a significantly more powerful version of the Xbox One. It’s scheduled to launch in the holiday season of 2017. It will support “high-end” VR headsets, like the Oculus Rift. The Xbox One S is 40% smaller than the current Xbox One. It comes with a newer, slightly nicer version of the Xbox One gamepad. It’s scheduled to launch in holiday 2016 for $299 (presumably as a direct replacement for the model currently on store shelves). Most importantly, all past, present, and future Xbox One games will be playable on all three consoles: the original Xbox One, the Xbox One S, and Project Scorpio. You won’t be able to play VR games on the less powerful models, but there won’t be any games exclusive to Project Scorpio. MicrosoftThis is what it’s like to look for a group on Xbox Live. Players can create private clubs centered around games, lifestyles, or pretty much whatever they want. 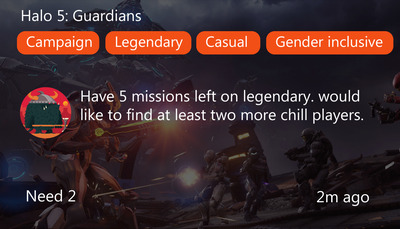 A new “looking for group” feature will allow players to seek out skilled players for their multiplayer games. No more wrangling friends for “Destiny” raids! Arena on Xbox Live is Microsoft’s entry into the world of eSports. The feature will allow players to enter tournaments and win prizes. Finally, some multiplayer games like “Gears of War 4” and “Forza Horizon 3” will allow cross-play between Xbox One and Windows 10, meaning you can play those games with your PC-owning friends if you prefer console. 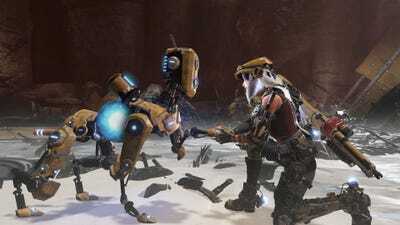 “ReCore” is a new, original game from “Mega Man” creator Keiji Inafune and some of the people who made “Metroid Prime.” You play as a girl named Joule, who has a gun, some sweet jet boots, and the ability to place cores inside different robots to make them do her bidding. Robot dog! “Gears of War 4” has you hiding behind cover and shooting creepy monsters in gorgeous-looking environments with some pretty gruesome-looking weapons. “Dead Rising 4” sees the return of Frank West, the original protagonist of “Dead Rising.” He is once again tasked with taking out hordes of zombies with some of the goofiest weapons we’ve ever seen, including giant hammers and electrified lawnmowers. “Forza Horizon 3” enables you to cruise the Australian countryside in a variety of high-powered, expensive cars. It is unbelievably beautiful, and the act of simply driving around the world looks enormously fun. “Sea of Thieves” is a new, online multiplayer pirate simulator where you and a crew of friends can swash and buckle across the high seas. Get in ship battles with other crews, explore islands and, most importantly, celebrate your victories with cooperative drinking! 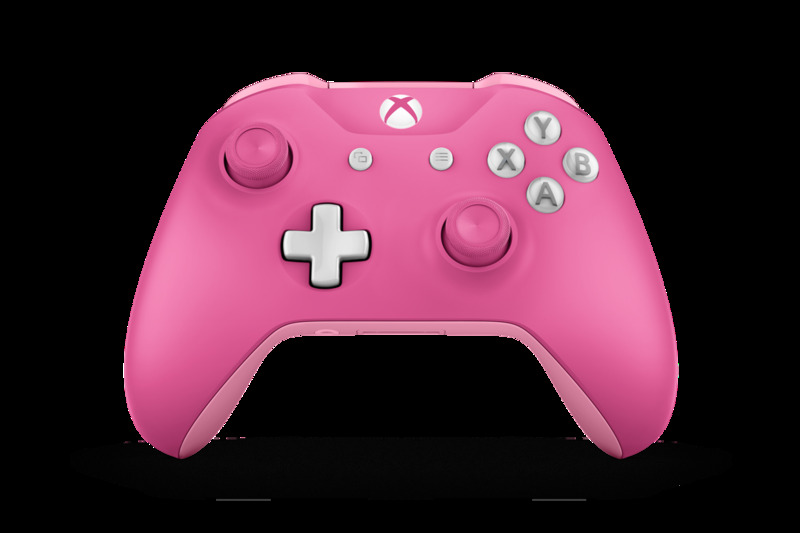 MicrosoftNot gonna lie, this pink Xbox controller is pretty fresh. The Xbox Design Lab enables you to customise and order your very own special Xbox One controller. Check out that pink controller! Look at it! It’s great! Xbox Play Anywhere is a simple solution to buying games. Buy a game on Xbox One, play it on both Xbox One and PC with shared save data between the two. Smart! Cortana, the digital assistant that acts as Microsoft’s answer to Siri, is coming to Xbox One. You’ll be able to use voice commands to operate your console in the same way you currently can on Windows 10 PCs. And that’s all the biggest news that came out of Microsoft’s E3 show this year! If you don’t already have an Xbox One, you should probably (definitely) wait until late 2017 to get the more powerful version of it. By then, all of these rad looking games will be cheaper. Everybody wins!